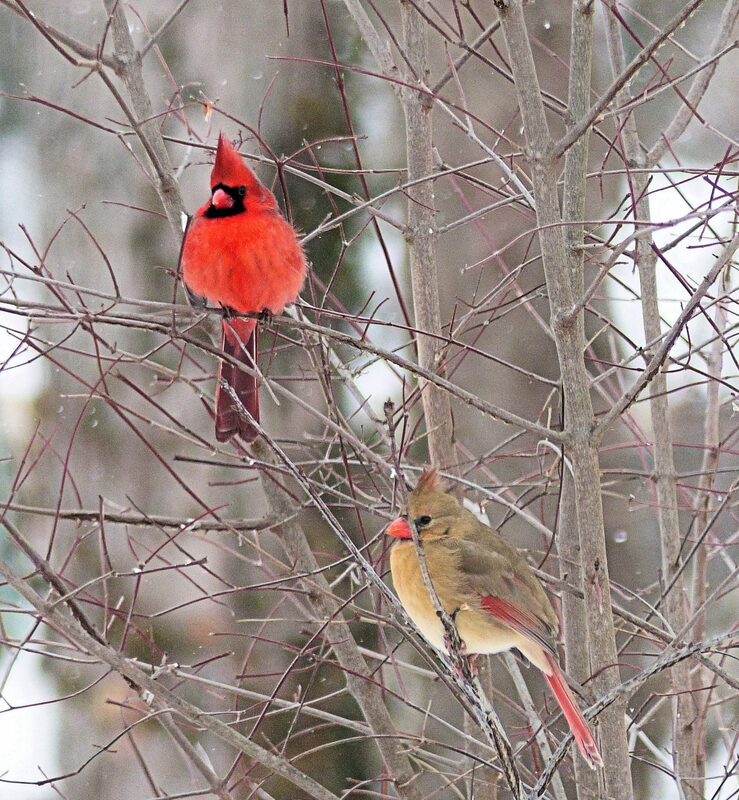 During the winter we had many cardinals in our back yard. Often the weather was frigid, so I took photos from inside my house, using my telephoto zoom to focus in on the birds in the bushes in my backyard. I caught this pair of cardinals together.